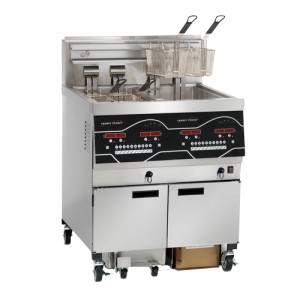 A smaller fry vat requires 40% less oil to fill than a standard 50 lb fryer, while maintaining the overall cooking capacity. 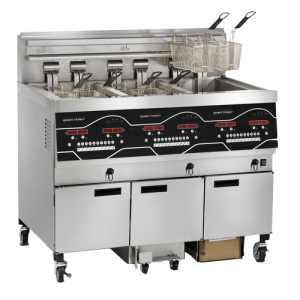 The Oil Guardian™ system monitors oil levels and automatically replenishes oil from a reservoir inside the fryer cabinet, eliminating manual add-backs and frequent oil disposal. 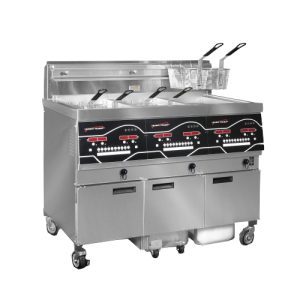 Smart Touch Filtration™ improves oil savings, product quality and employee productivity by filtering individual vats at the touch of a button, while allowing other vats to cook uninterrupted. Filter system drains oil, rinses away crumbs and returns hot filtered oil to the vat in less than four minutes! No handles, valves or anything else to pull, open or close. iControl™ provides a simple, intuitive interface that lets you store 40 cook programs and offers a host of features, like idle and melt modes, load compensation, filter tracking, multiple language settings, USB support, and more. Earns the ENERGY STAR® mark with high efficiency and rapid temperature recovery. Heavy-duty stainless steel vats come with a 7-year warranty. Electric models have hinged elements that lift up for quick and easy vat cleaning. Gas models feature high-efficiency burners with solid-state ignition. 4 heavy-duty casters, 2 locking. 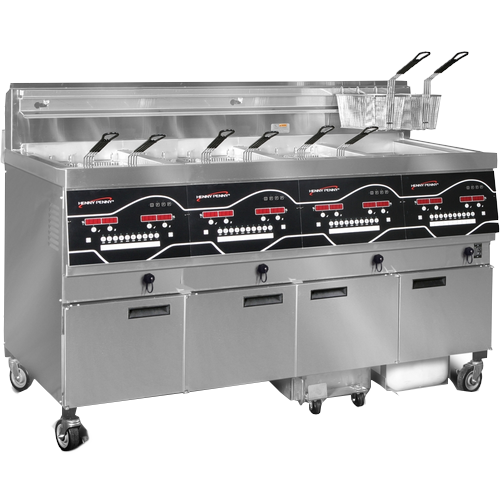 Stainless steel construction for easy cleaning and long service life. Built-in bulk oil disposal feature (additional charge). Optional auto-lift feature automatically lowers and raises baskets to begin and end cook cycles (additional charge).